Why Should You Implement A Customer Prospecting Program? 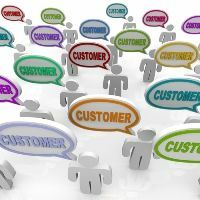 With a customer prospecting program that can be customized to your business, niche and ideal consumer demographic, you can use neighborhood marketing to segment and target leads that will translate into increased sales, and it will give you more control over who gets your marketing communications within your local region. What Types Of Businesses Should Choose It? This type of customer prospecting is ideal for many types of businesses from realtors to auto dealers to heating and cooling companies. Postcards that focus on the successful interaction with existing regional customers. Marketing pieces that include a clearly defined call to action. Communication touch points should generally include your company name, logo, slogan, and other relevant information, with multiple ways to respond via email, phone, or return-mail pieces. What Should A Good Customer Prospecting Program Include? Optimize demographics that you want to target. Allow you to choose from a wide variety of information, including age, gender, location, and income. Offer a large selection of customer prospecting marketing materials. Give you the opportunity to customize those marketing communication points to suit seasonal offers, holidays, etc. An effective marketing strategy should include a variety of ways to approach potential customers. Social media tools, mobile marketing and direct mail give you a wider umbrella for extending your business’ reach into your local community, through neighborhood marketing, and extend to a wider pool of potential consumers. Continuity Programs focuses on customer retention programs, customer loyalty and lead generation for more than 20 industries. We can help you acquire new customers through our prospecting systems and make a solid investment in marketing campaigns that get results.